FOLK fans are in for a treat next Tuesday (17 November) at St David’s Hall as Jamie Smith’s MABON perform in the L3 Lounge and host their official new album launch party! The multi award-winning five-piece release their fifth critically acclaimed album entitled The Space Between in January 2016, but they will be offering a preview of their breathtaking new material in front of a Cardiff crowd. Plus, all ticket-holders are invited to a pre-gig drinks reception at 7.15pm (ahead of the performance start at 8pm) where a selection of drinks will be available* for you to raise a glass to the band! Alongside selections from their forthcoming album, the gig will also feature a medley of old favourites played on everything from accordions and fiddles to bouzouki and bass! 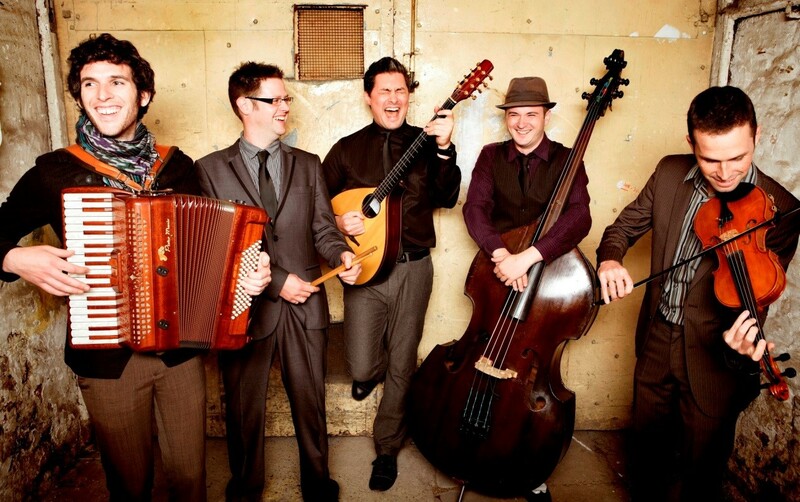 Since forming in 1999 and releasing their debut album Ridiculous Thinkers in 2004, Jamie Smith’s MABON have developed a growing reputation as Britain’s finest performers of InterCeltic and World music. The band is equally comfortable performing on a festival as within an acoustic setting, or even as far afield as the rainforest and Borneo! Fans can expect the usual blend of marvellous melodies and haunting harmonies on The Space Between, which was mixed by award-winning folk musician Jim Moray. It features tracks aired at recent festivals across Europe as well as newer material written in the studio. Jamie Smith’s MABON continues to break new ground with their capitating compositions influenced by all corners of the Celtic world and beyond. Experience their best old and new material live at St David’s Hall at their official album launch party! The drinks reception (which all ticket-holders are welcome to attend) is from 7.15pm, and the gig starts at 8pm. Tickets are priced £13.50 in advance and £14.50 on the day. £2 discount available for Friends of St David’s Hall, under 16s, students, over 60s, unemployed, claimants and disabled people plus one companion. Groups of 10 or more are eligible for £1 off each ticket.